The Fårö bench is one of GAD’s successful designs and compliments the small stool. At 105 cm is the perfect seat for the dressing or bedroom where its soft luxurious upholstery of Gotland sheepskin can be most appreciated. 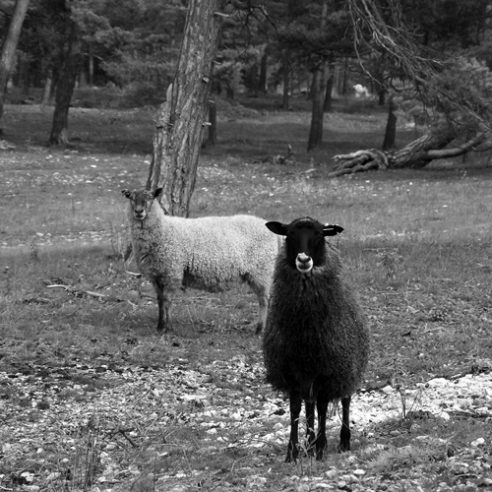 Gotland sheepskin has the unique appearance and lustre of rich grey tones particular to sheep from the island and at times these fleeces can be difficult to source. bench was first exhibited as part of the first collection shown for the first time by designer Kristian Ericsson at the Stockholm Furniture Fair in 1998.